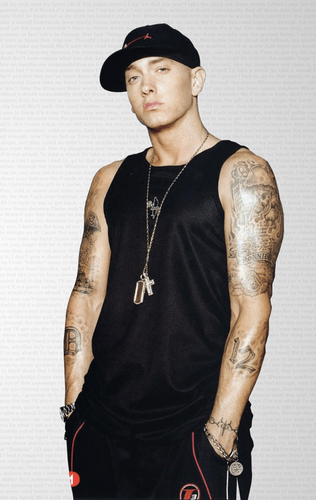 Marshall Bruce Mathers III (born October 17, 1972), better known by his stage name Eminem or his alter ego Slim Shady, is an American rapper, record producer, actor, and singer-songwriter. Eminem's popularity brought his group project, D12, to mainstream recognition. As well as being a member of D12, Eminem is also one half of the Detroit hip hop duo Bad Meets Evil, with Royce da 5'9". 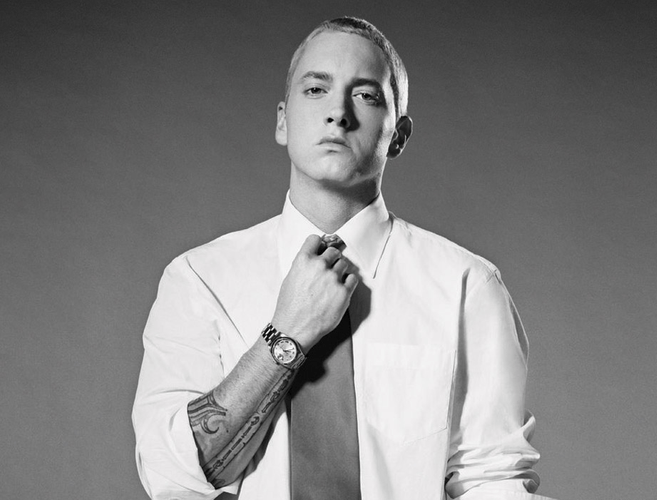 Eminem is one of the best-selling artists in the world. He has been listed and ranked as one of the greatest artists of all time by many magazines including the Rolling Stone magazine which has ranked him 82nd on its list of The 100 Greatest Artists of All Time. The same magazine has declared him The King of Hip Hop. Including his work with D12 and Bad Meets Evil, Eminem has achieved ten number one albums on the Billboard 200. He has also sold more than 33 million track downloads and 39.6 million albums in the United States alone. 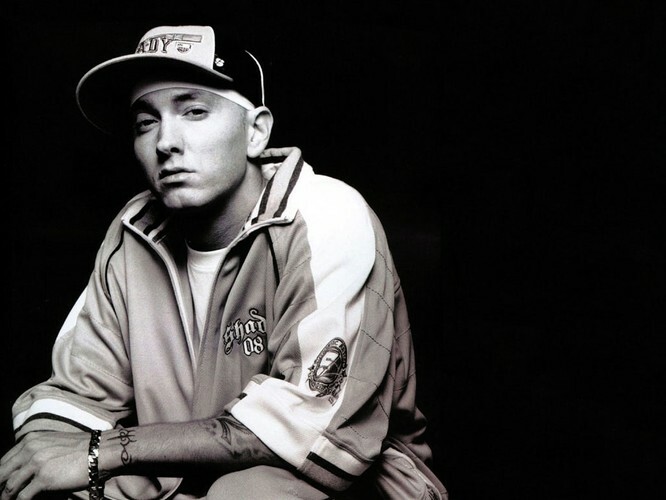 Eminem quickly gained popularity in 1999 with his major-label debut album, The Slim Shady LP. The Slim Shady LP, The Marshall Mathers LP and his third major album, The Eminem Show, all won Grammy Awards, making Eminem the first artist to win Best Rap Album for three consecutive LPs. The Marshall Mathers LP is also considered one of Eminem's best and most successful albums. 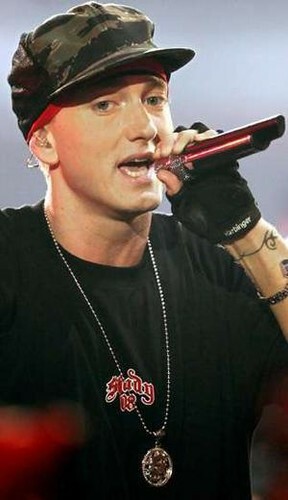 Eminem then went on hiatus after touring in 2005. He released his first album since 2004's Encore, titled Relapse, on May 15, 2009. 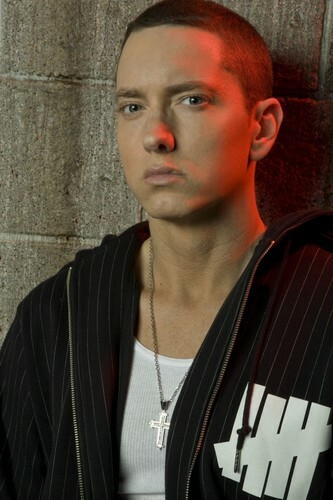 In 2010, Eminem released his seventh studio album Recovery, which was an international success. Recovery was also named the best selling album worldwide of 2010 joining The Eminem Show, which was the best seller of 2002. Eminem won Grammy Awards for both Relapse and Recovery, giving him a total of 13 Grammys in his career. Eminem has named Masta Ace, Big Daddy Kane, Newcleus, the Beastie Boys, Dr. Dre, Tupac Shakur, AZ, Nas, and Ice-T amongst others as his influences.